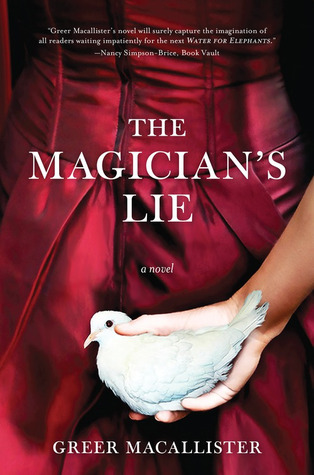 Greer Macallister On The Magician’s Lie + Giveaway! Today on the Ball, we welcome fellow debut author GREER MACALLISTER, who’s first novel, THE MAGICIAN’S LIE, which is being called WATER FOR ELEPHANTS meets THE NIGHT CIRCUS The book centers on a notorious female illusionist who stands accused of murdering her husband — and she has only one night to prove her innocence. 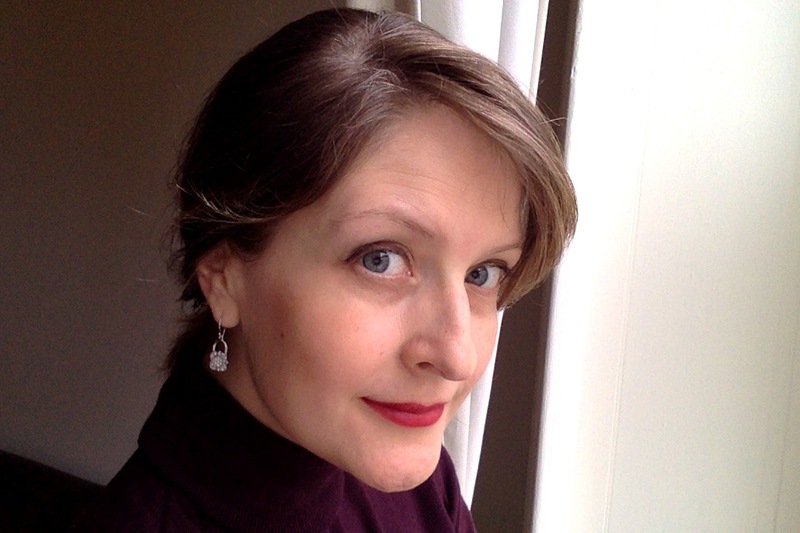 We caught up with Macallister to talk about parenting and writing, her childhood fave, and how she “accidentally” fell into writing historical fiction! I read A WRINKLE IN TIME when I was in fourth grade and then I was off to the races, both as a reader and a writer. I’m sure I’d read books with female protagonists before, but no one who made as big an impression on me as Meg Murry. That book had everything – romance, interplanetary travel, self-sacrifice, straight-up science, girl power, family love, plus a riveting, high-stakes plot – and I could re-read it endlessly. On some level I still have a thing for Calvin O’Keefe. So dreamy! I’d love to say something exotic like absinthe or one of those crazy orange wines, but really, I’m more of a Sauvignon Blanc. Sharp and lively, not too demanding, and very good to have around just in case a dinner party breaks out. Ha! Everything else I wrote before THE MAGICIAN’S LIE was a different genre. This was my first foray into historical fiction, almost by accident. But when I came up with the idea to write about a female magician cutting a man in half, I had to decide whether it would be a contemporary or historical setting, and the late 1890s/early 1900s was perfect for the story I wanted to tell. But I also write in lots of different forms – poetry, plays, short stories – and I think each one helps you develop particular skills that then come into play in the other ones. Poetry helps you focus on how a handful of words sound together, and on clear, crisp images. Playwriting sharpens your dialogue. I’m glad I write all these things, although nothing else packs quite the punch of successfully finishing a novel. Don’t go it alone. There’s a time for introversion and introspection in the writing process, but the insight of others is incredibly valuable in reviewing drafts, considering career decisions, and a host of other moments. A strong beta reader or critique group can make a huge difference in your life and your writing; a great agent and/or editor, even more so. Developing a keen sense of when to incorporate feedback and when to pursue a different vision can be challenging, but it’s one of the greatest skills in a writer’s arsenal. The best writers I know all have that skill. Lately I’ve been very fond of a little window around 2 a.m. My youngest is still up in the middle of the night to nurse, and so I’m up with her, and there are a limited number of things you can do in those moments. And it’s just so quiet then. Our days are so busy and hectic that I get overwhelmed – so in the middle of the night, even though I’m not sleeping, I’m recharging. Plus it gives me more time to read. How could I object to that? GIVEAWAY: Comment on this post by Noon (EST) on Friday, February 8 to enter to win a copy of THE MAGICIAN’S LIE (U.S. only). Follow The Debutante Ball on Facebook and Twitter for extra entries—just mention that you did so in your comments. We’ll choose and contact the winner on Friday. Good luck! What a fascinating interview. This book sounds captivating and special. Yes, A Wrinkle in Time and Meg resonated with me as well and still is one of my favorites. Best wishes and much success. I’ve read excellent reviews about this book! The Magician’s Lie would be unforgettable and intriguing. I was very interested in this author’s interview and her background, talent and writing. This first historical fiction for the author is a real winner. Love to read this treasure. a wonderful posting…thanks for the chance to read this fabulous novel. So excited to read this book! I also follow you on Twitter (@TheBookBird). Oh wee … I’m not sure 2 a.m. would ever be a favorite time for me! I agree that having a solid critique partner or group really is key to making your writing shine. Have been eyeing this book since I saw the first announcements on Goodreads. Would love to win and appreciate the opportunity, ladies. I follow on Twitter (@CrytzerFry). I’ve heard so many good things about this novel, can’t wait to read it. Thanks for the chance to win a copy! I also follow on FB and Twitter. Sounds like a great book! I hope to win a copy. I loved this book & highly recommend it to others. All the reviews& raves can’t wait to read this book. I read an excerpt and fell in love with this book. One of my most wanted books of 2015.